This round-up of GAPS Diet baked goods and treats is unusual. For instance, only a few of the recipes contain almond flour. Some include baking soda. 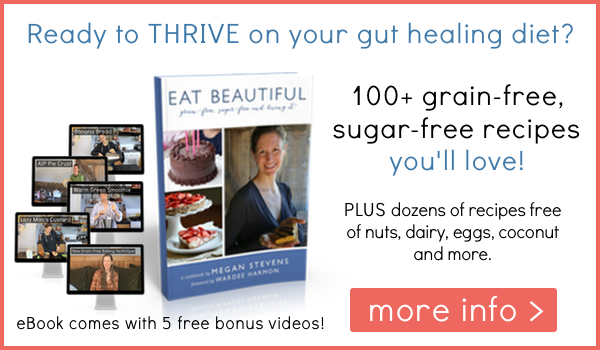 Yet all are nutrient-dense, gentle, healing, indulgent recipes! Many recipes below call for baking soda. This ingredient is not typically GAPS-friendly since it creates a less acidic pH in the stomach, thus compromising digestion. Many GAPS-legal recipes call for commercially-made nut butters and nut flours. Sadly, these aren't easy to digest because they're made from dormant seeds. Neither raw nuts nor roasted nuts have been “awakened” from their dormant state. Their nutrition cannot be assimilated, and they, therefore, wreak havoc on the digestive mechanism. Below you’ll find several categories of GAPS Diet baked goods: Muffins and Quick Breads, Pancakes, Cookies, Scones and Biscuits, Pies, Tarts and Bars, Cake-y Things, Pizzas and Sandwich Breads. A lot of the recipes below use coconut, coconut flour, or coconut butter. But not all of them! Some use sprouted nuts or seeds, as discussed above; and some have other creative ingredients. While some recipes below call for cocoa powder, this should be a rare ingredient for special occasions. GAPS patients may get carried away with chocolate treats, so do not let the few recipes containing cocoa become everyday staples. A couple of the recipes have a GAPS Diet variation, which aligns the recipe with the diet. These great recipes have been included because you’ll love them. Just make sure to follow the variation, instead of the main/original recipe. 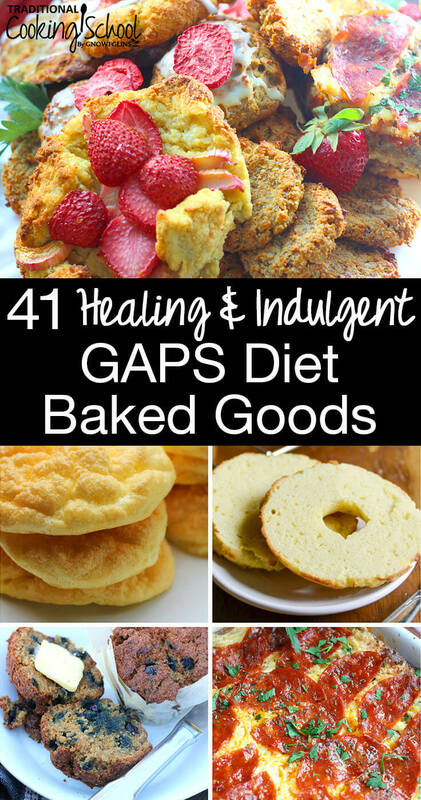 And now — 41 healing and indulgent GAPS Diet baked goods you'll love! How long have you been on the GAPS Diet? What’s your greatest struggle? What’s your greatest success?